Spice Gripper Clip Strips - Set of 3, Holds 12 Jars Just $7.95 Was $16! You are here: Home / Great Deals / Amazon Deals / Spice Gripper Clip Strips – Set of 3, Holds 12 Jars Just $7.95 Was $16! 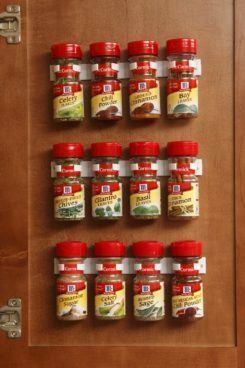 Spice Gripper Clip Strips – Set of 3, Holds 12 Jars Just $7.95 Was $16! These have had such a positive impact on my spice cabinet organization! Order the Spice Gripper Clip Strips – Set of 3, Holds 12 Jars for Just $7.95! Down from $16!